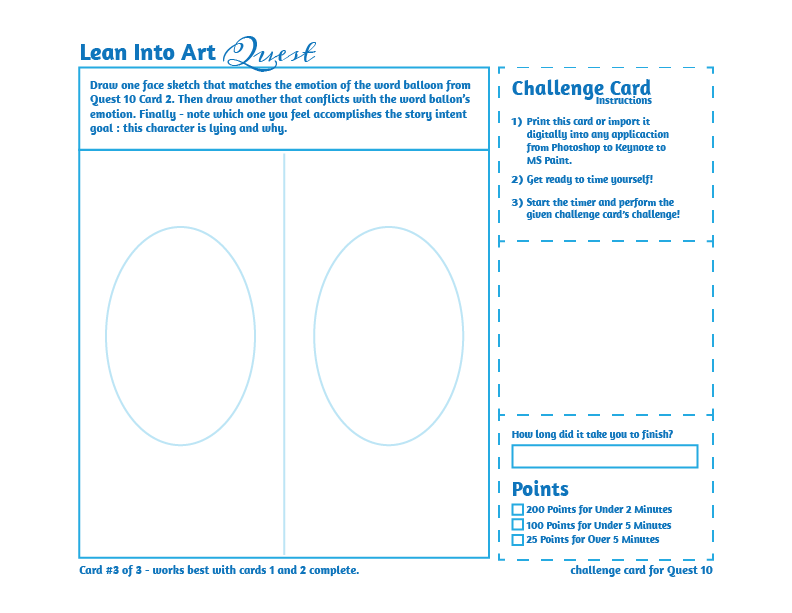 This series of quest cards is about exploring comics storytelling editing and refinement to convey a specific intent with fun twists and a dash of creative reflection to keep it spicy. Each of these quest cards is a mini challenge though feel free to explore them in any time frame you wish. 3) Finally looks at the affects the facial expression has on conveying the original intent. 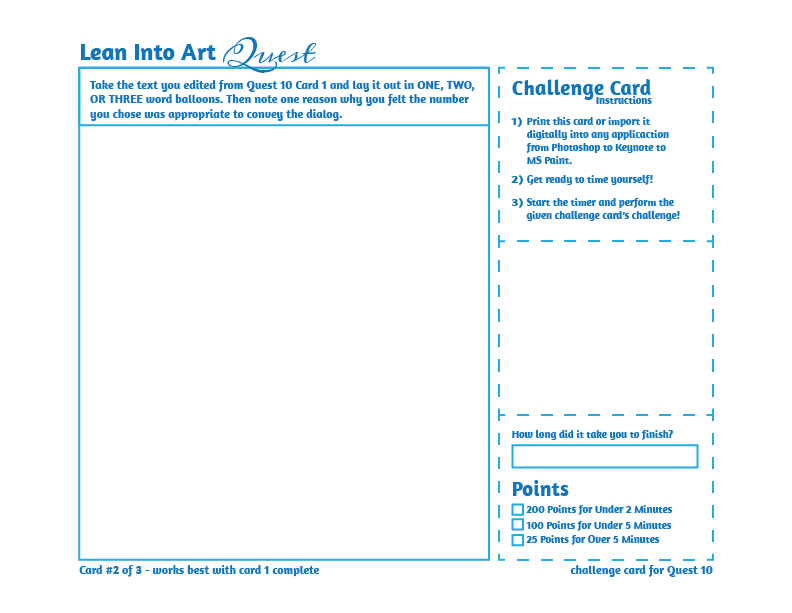 Share your results in a blog post and Twitter with the #liaquest10 tag.